Very clean, good location. The breakfast was great. The breakfast was fantastic. Fresh orange juice. Good selection on breakfast items. The front desk staff was great, friendly and helpful. Great location and staff. Non-stop reception and comfy bed. Free pastry and coffee at the lounge, big and comfortable bed. Fair breakfast and wifi. Relatively close metro station (5 min walk). Lovely hotel, guys at reception were extremely helpful, breakfast was really really good, great facilities. Only negative was the bathroom doors not fully closing ! Would highly recommend staying here. The staff were very helpful. The breakfast was great, the assistant was very pleasant. The staffs friendliness and willingness to assist. 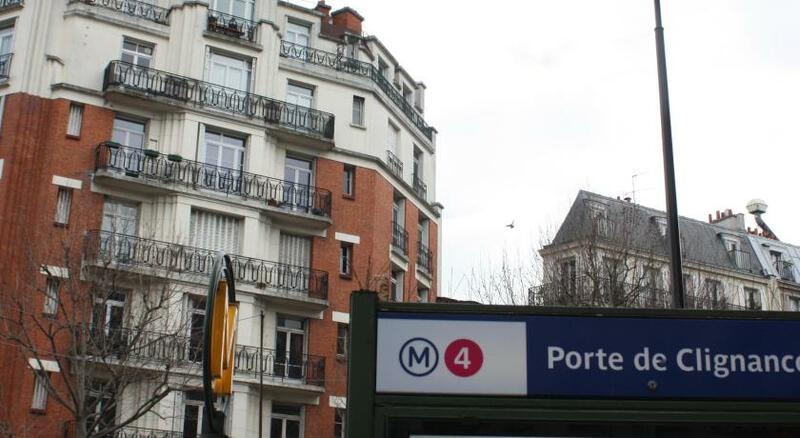 Located in Paris’s famous Montmartre district, this hotel is just 1,300 feet from Jules Joffrin Metro Station. Its modern rooms are equipped with flat-screen TVs. All of the guest rooms at the ibis Styles Paris Montmartre Nord have floor-to-ceiling windows and come with free Wi-Fi access and satellite TV channels. Each has a private bathroom. Breakfast is served every morning in the breakfast room. A 24-hour front desk with concierge service is also available. This ibis Styles hotel is just a 15-minute walk from the Sacré Coeur Basilica and a 20-minute walk from the famous Moulin Rouge. Les Docks de Paris Event Venue is 1.7 mi away. 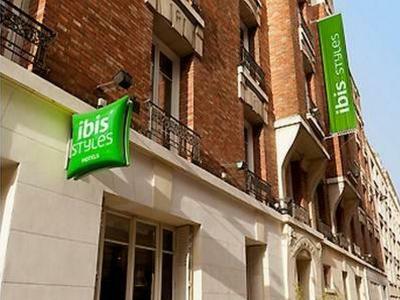 When would you like to stay at ibis Styles Paris Montmartre Nord? This contemporary room features a flat-screen TV and free Wi-Fi access. This contemporary suite features a flat-screen TV and free Wi-Fi access. Enjoy a relaxed atmosphere and stylish design throughout the property! Each hotel has a unique personality. For families or friends, solo or couples, business or leisure travellers, all are welcome! 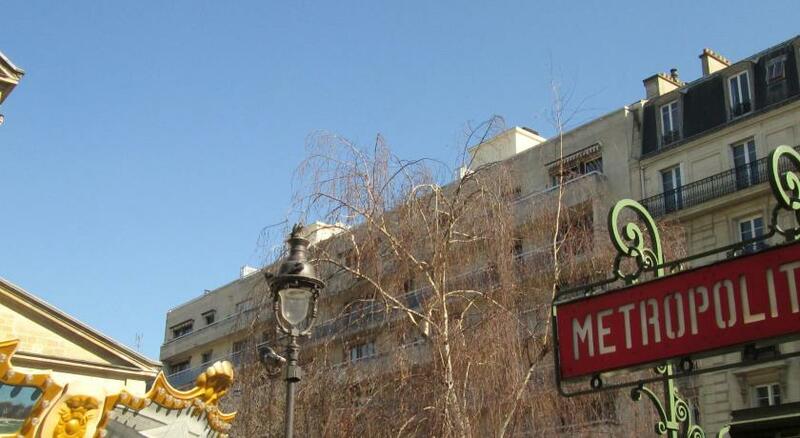 Hotel surroundings – This neighborhood is a great choice for travelers interested in monuments, city walks and sightseeing – Check location Good location – show map Guests loved walking around the neighborhood! House Rules ibis Styles Paris Montmartre Nord takes special requests – add in the next step! ibis Styles Paris Montmartre Nord accepts these cards and reserves the right to temporarily hold an amount prior to arrival. The very small room was hard to move around in for travellers with suitcases. The smell in the bathroom got worse and worse, definitely from the toilet. The room were very small and the toilet flush mechanism was loose. Room was very, very small. The bed was like concrete. The bathroom door would not stay closed. No aircon. Shower head was dirty. City centre parking was available. Location. The room was extremely small, the bathroom equally small and offered no privacy at all . The bathroom had an ant infestation , staff did their best to clean that but it was still there. The staff were very helpful and polite. Excellent people.. The breakfast was very good, location was nice. My room was on the fifth floor, unfortunately the water from the sink took a long time to drain away - not ideal when you are cleaning your teeth. The breakfast (especially the coffee) was great and the staff were friendly and helpful.. The room was tiny with little storage space. You had to slide the WC door open to get into the shower. The breakfast was great, and it was located in a good area. Bathroom was a bit dirty, toilet seat had not been cleaned. Room was upgraded on arrival. Parking was changed as we had a bigger vehicle. Close to the hotel. Room was clean. Bed was comfy. Tea and coffee in the evening were great although would have been handy having a kettle and facilities in the room for ease. Rooms were on the small side. Very friendly and welcoming. Filling and yummy breakfast Clean and warm bedrooms.